Hopefully, you’ve saved some of those pumpkin seeds from your Jack-O-Lantern as you’ll definitely want to try this salad for your lunch this week! Light, nutritious and perfect for summer, these small plates are big palate-pleasers! 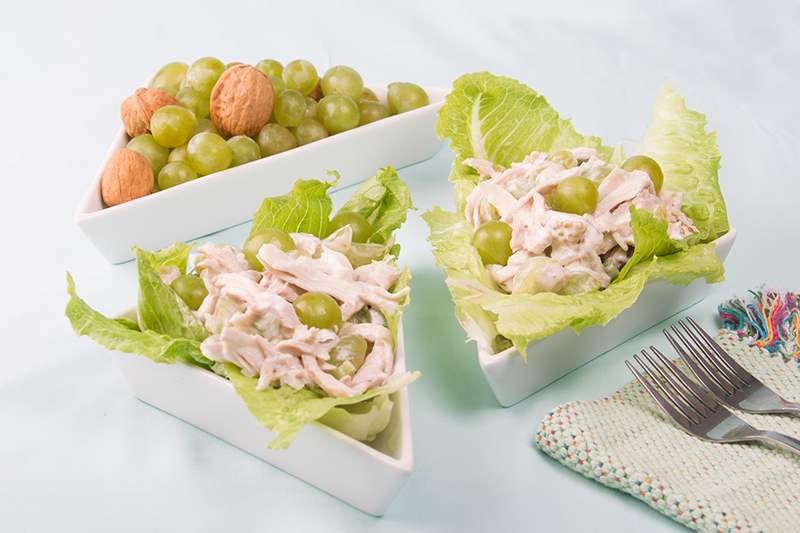 This is a delicious summer salad, as a stand-alone or with grilled chicken or pork. 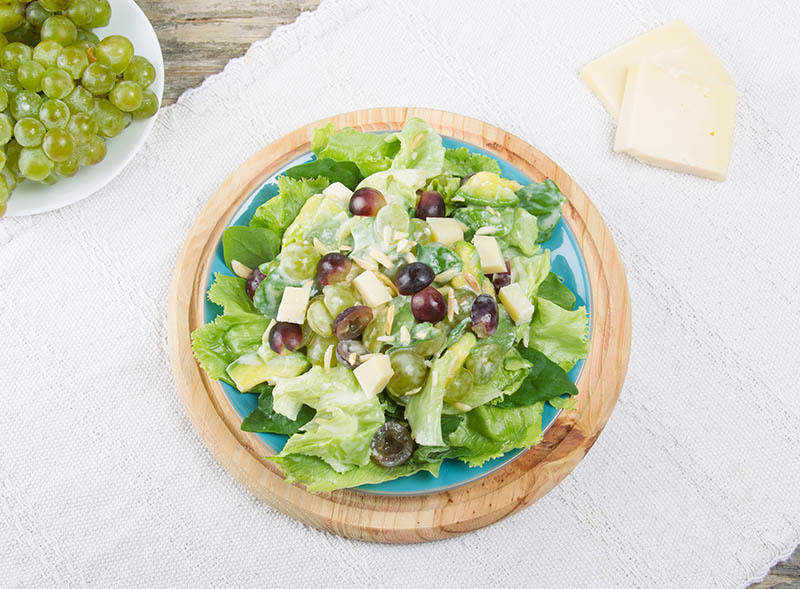 For the dressing we use more yogurt and less mayo to lighten the calorie load, and Dijon to give it some tang. 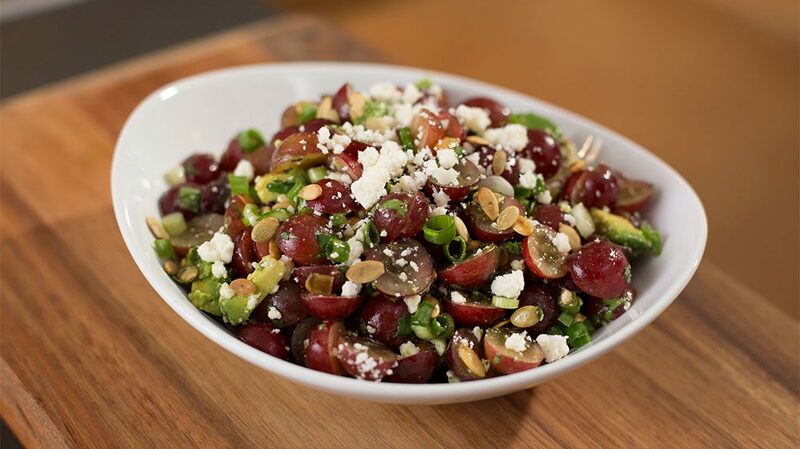 California avocados are one of our favorite ways to enjoy Jasmine Vineyards grapes. 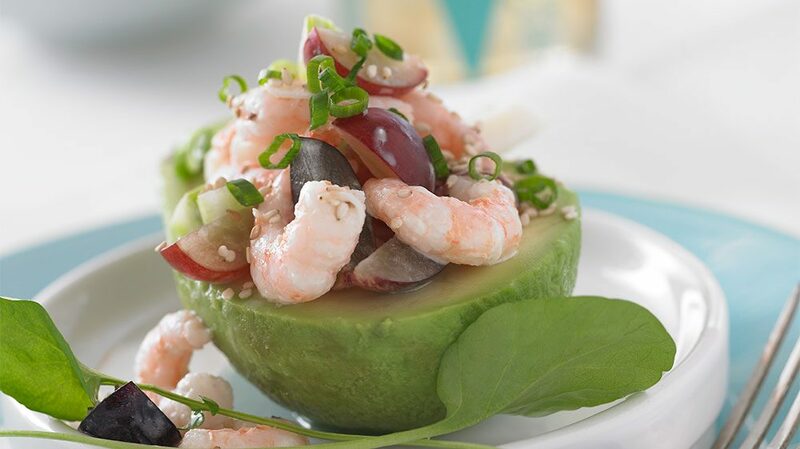 Try this coastal salad recipe and tell us what you think! 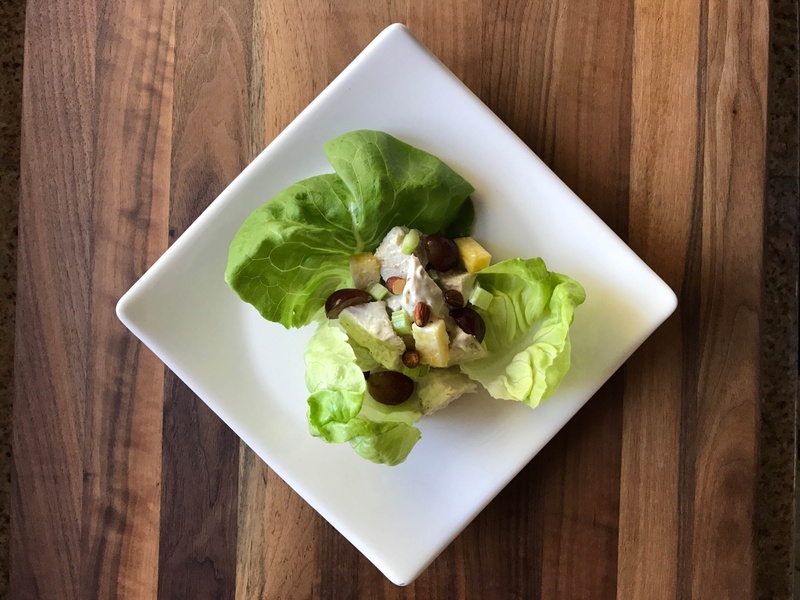 This yummy chicken salad was developed by Dorothy Zaninovich, wife of Jasmine Vineyards co-founder Vincent, and served to her bridge club in Delano! Mix all ingredients together, adding more or less salad dressing and mayonnaise to suit taste and texture. Presents well served in a crisp leaf of butter lettuce, alongside melon slices or warm biscuits.